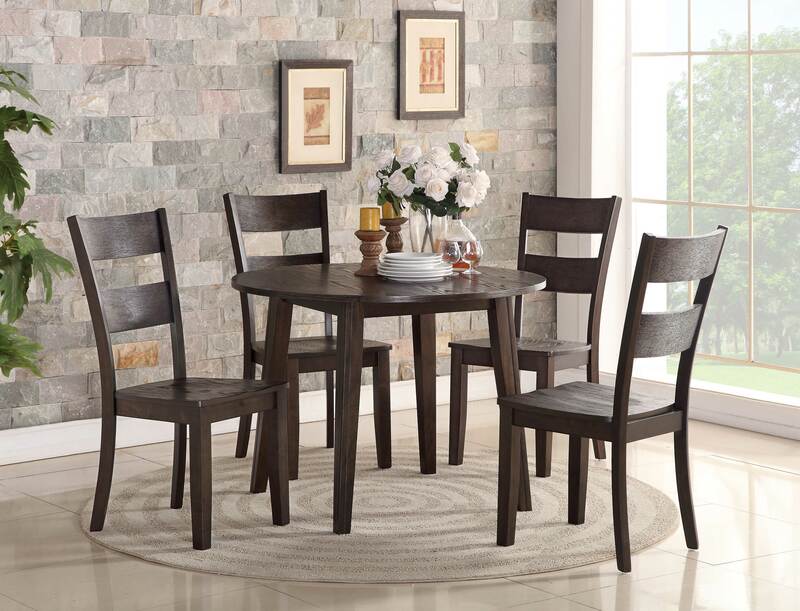 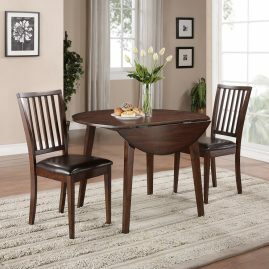 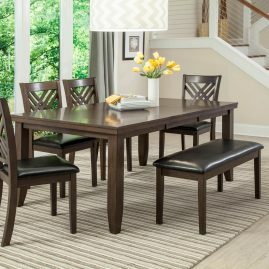 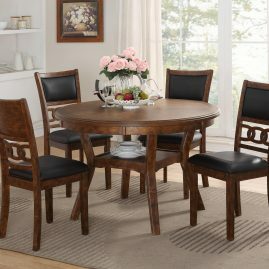 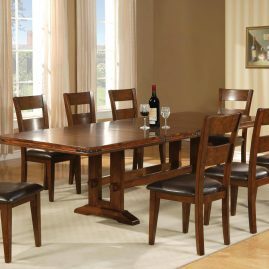 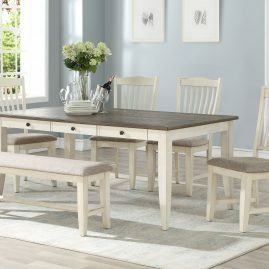 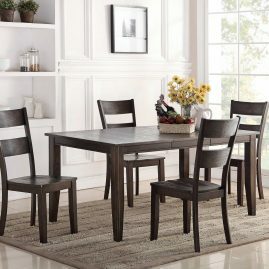 This dining group features hand laid up cross veneered tops with a banded edge border. 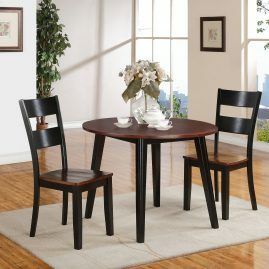 The aprons and legs have a fancy routed out design. 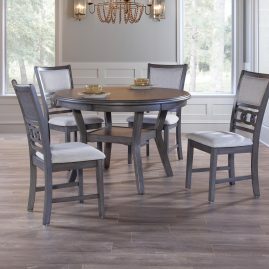 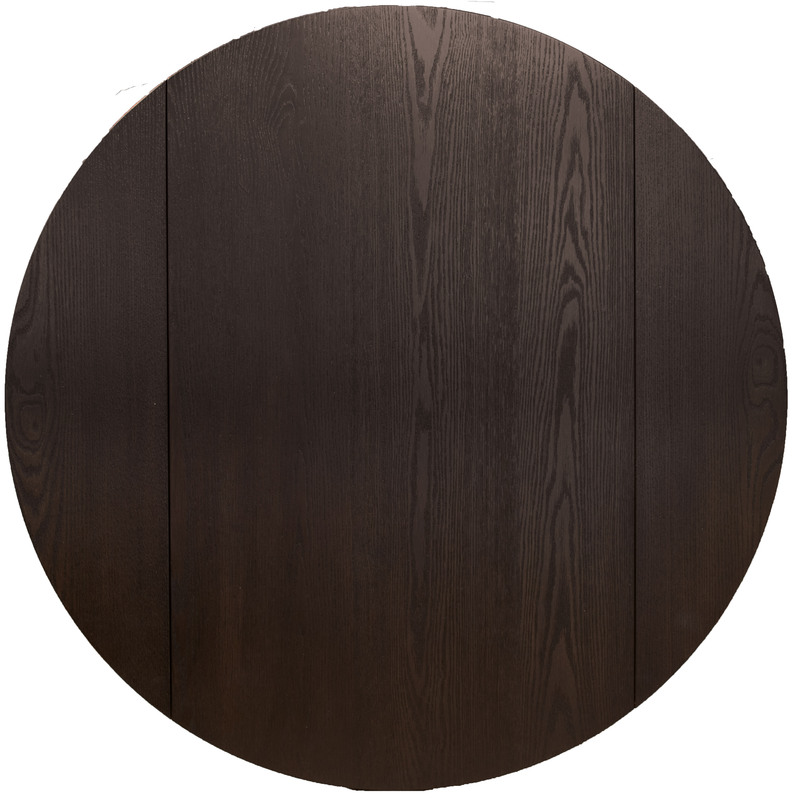 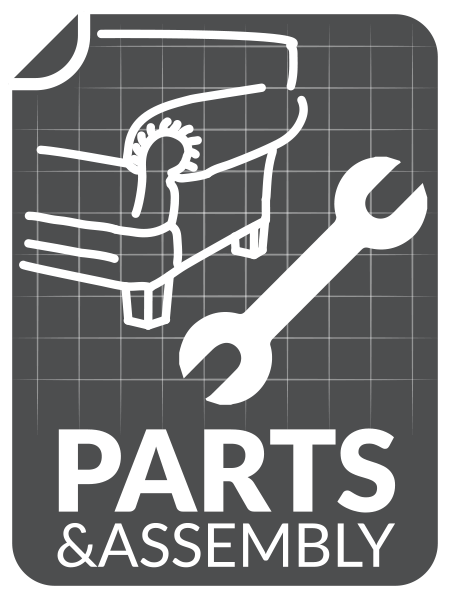 Chairs have solid hardwood frames with corner blocked legs and curved backs.